Seattle has set the bar for loudness — again. Seahawks fans set the Guinness World Record for crowd noise back in September, when they reached 136.6 decibels in a home game against the San Francisco 49ers. 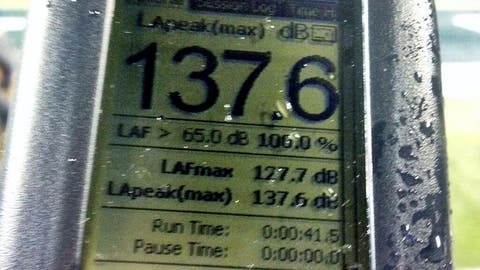 However, that mark didn’t last long as Kansas City took the record in October when Chiefs fans reached 137.5 decibels. Well, the crown is back in King County, Wash. How appropriate. With the Guinness people in attendance, the crowd noise at CenturyLink Field reached 137.6 decibels in the first half of Monday night’s game against the Saints. I’d say congratulations on the new record, but nobody in the stadium would hear me anyway.